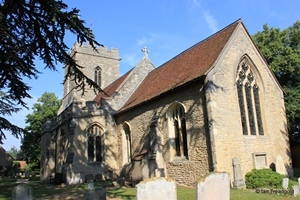 Welcome to Bedfordshire Parish Churches. 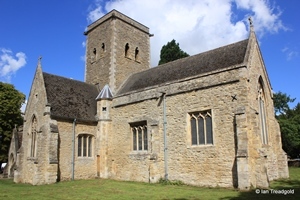 This site is a record of all Bedfordshire parish churches with photographs and architectural information that I hope will be of interest. By limiting this to parish churches in Bedfordshire I am naturally referring to Church of England parish churches. This is not a religious site and I make no comment on my or other people’s faiths and beliefs and any text describing features of the churches should be taken in that light. 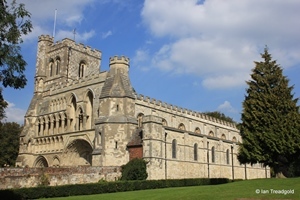 It is not intended as a guide to churches in terms of services, clergy or contact details but where appropriate links are provided to individual church websites. Parish churches are iconic structures in our landscape both urban and rural regardless of the faith to which they or the viewer belongs. They obviously form focal points for their primary religious purposes but are also integral to the culture of the surrounding area in terms the communities they serve. They are so integral to the British way of life that they are often overlooked and may well hide in plain sight. This site is an attempt to raise their profile within a wider community. The Parishes link on the main menu gives access to the individual parishes, listed alphabetically. The various Saints to which the churches are dedicated are briefly described along with links back to the relevant parishes. The Glossary covers the architectural terms used in the church descriptions. The general references used are available on the References page with additional individual church specific references acknowledged on the appropriate pages. 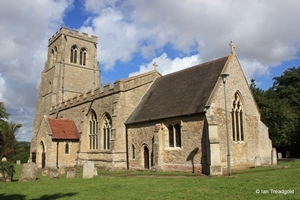 The Towers page lets you see pictures of all the towers for the churches covered on this site - how well do you know the Bedfordshire churches. On the individual parish pages pictures with 'Click to enlarge' in the bottom left hand corner will display a larger image when clicked. A note regarding the text used to describe the churches is appropriate. Phrases like 'the church dates from C14' are used as a shorthand for the fourteenth century, i.e. 1300-1399. 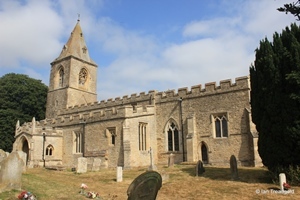 The word 'modern' is often used to describe works, often restoration, that are modern in terms of the life of the church and typically will relate to C19 renovations. The map below is zoomable. Click on a flag to open a popup with a link to the page for that church.